A teenage boy’s Christmas present was one of a number of bicycles stolen in the Lurgan area recently. Police have flagged up two mountain bikes stolen from Drumlin Drive on January 13 just before 7pm. 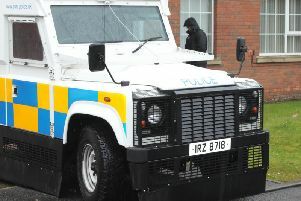 A PSNI spokesperson said: “What makes this theft all the worst was one of these bikes was a Christmas present for a 15 year old boy. “As you can see from the pictures these bikes are unique looking with vivid colours. “Have you seen these bikes? Maybe you know someone is selling a bike similar to this. “If you have any information that could help us return these bikes to their rightful owners please contact police on 101 quoting the reference 1144 of 13/01/19.